Physical cues ie holding hula hoop, adaptive seating, etc. Visual cues ie picture symbols, circles, etc. 25% indicated body awareness exercises and activities. 20.4% indicated physical cues ie holding hula hoop, adaptive seating, etc. 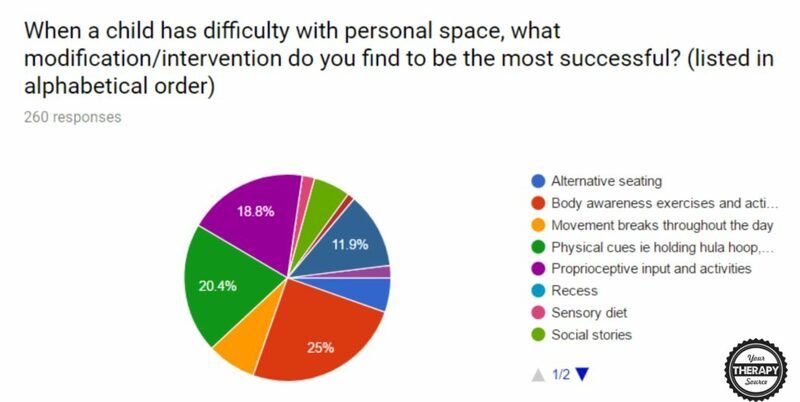 18.8% indicated proprioceptive input and activities. 11.9% indicated visual cues ie picture symbols, circles, etc. 7.7% indicated movement breaks throughout the day. 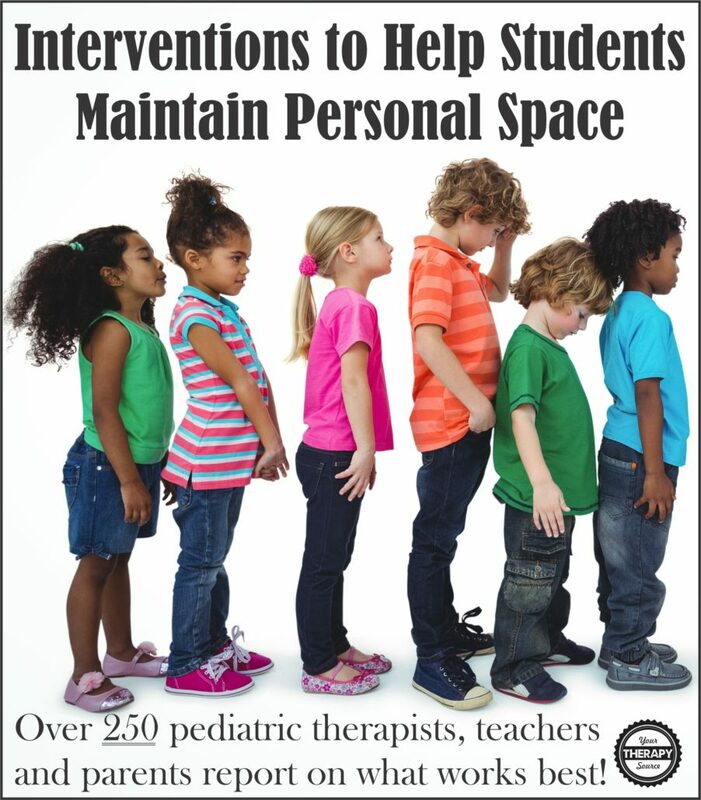 Overall, the 260 pediatric therapists, teachers and parents reported that body awareness exercises and activities were the most successful interventions to help children who have difficulty with personal space. Please take a moment to answer our current survey. Thank you in advance. Movement breaks that typically include proprioceptive input. If it is not a true sensory processing issue, social stories are most helpful and practice or reminders. I think a combination of many of these works best. I usually begin with a presentation to the entire classroom using a hula hoop to illustrate the concept of what “personal space” looks like in our culture. And then have each of the children step inside while a partner is outside the hoop to give them a concrete example of what it looks/feels like to give someone else their “space”. I’ll ask the student who may have difficulties be one of the first to step inside the hoop and then have him pick a peer to be on the outside, and continue with the whole group until everyone has had a chance to be on the inside and outside. I’ll often leave the hula hoop in the classroom for the students to play with and experiment with for a week before retrieving. It allows the teacher to use it to demonstrate further in the week as necessary. Short term, visual cues such as arm’s length or tape on the floor. Longer term body and environment awareness issues need to be addressed. We are new to this and just getting started. Our OT is Awesome and has helped so much. Thank you to all the warriors fighting for our kids. 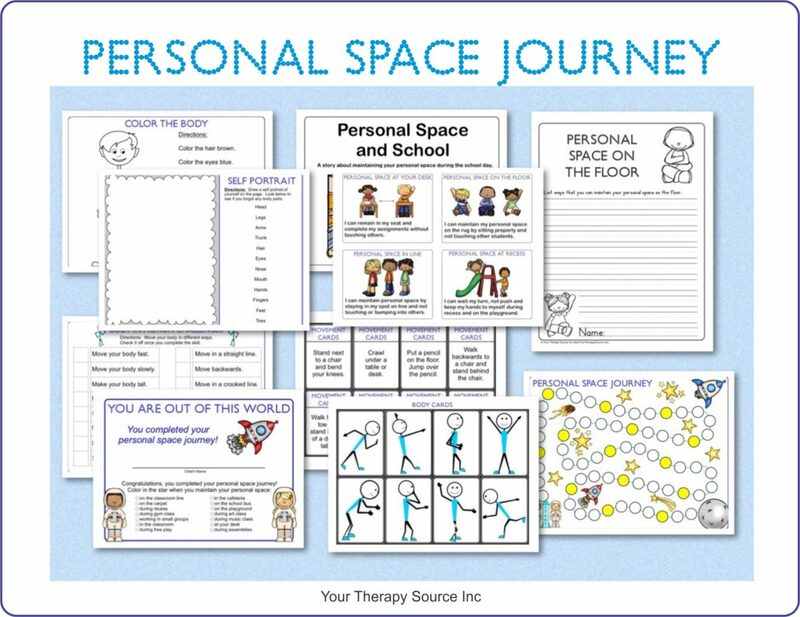 If you are looking for personal space and body awareness activities check out Personal Space Journey. Personal Space Journey is a digital collection of activities to teach children about personal space. You can choose how to utilize the materials. Some children may benefit from reading the story first with follow up. Others may need to work on body awareness activities in order to maintain personal space.